Engage with potential candidates, when they want, on platforms they know and trust. 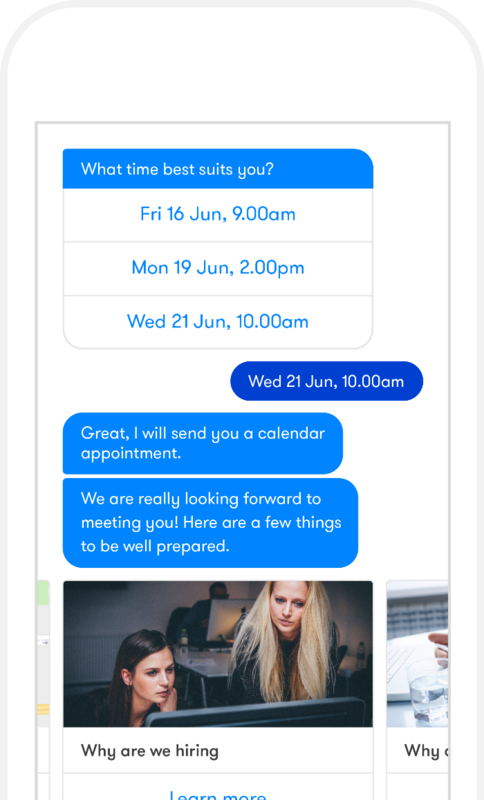 Our mobile-friendly chatbots are available on all devices, with no app install or candidate sign-up required. This ubiquity and low-friction approach delivers greater accessibility and convenience for candidates, combined with increased conversion for recruiters. 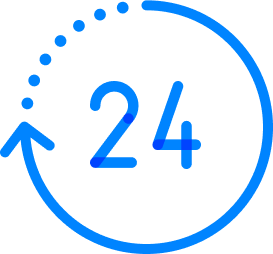 Your chatbot will be available 24/7 and respond to questions automatically using our FAQ engine, leaving you with more time to focus on pressing tasks. 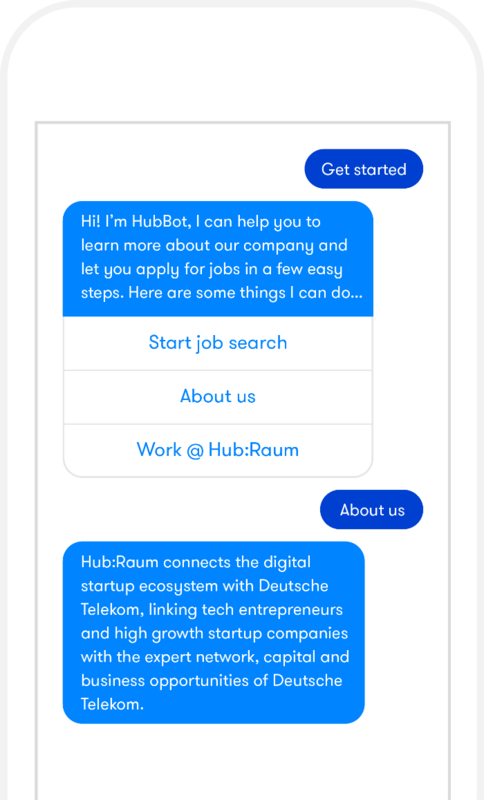 In the instance that a question posed is too tough for the chatbot, this will then be passed on to a recruiter to follow-up in person. 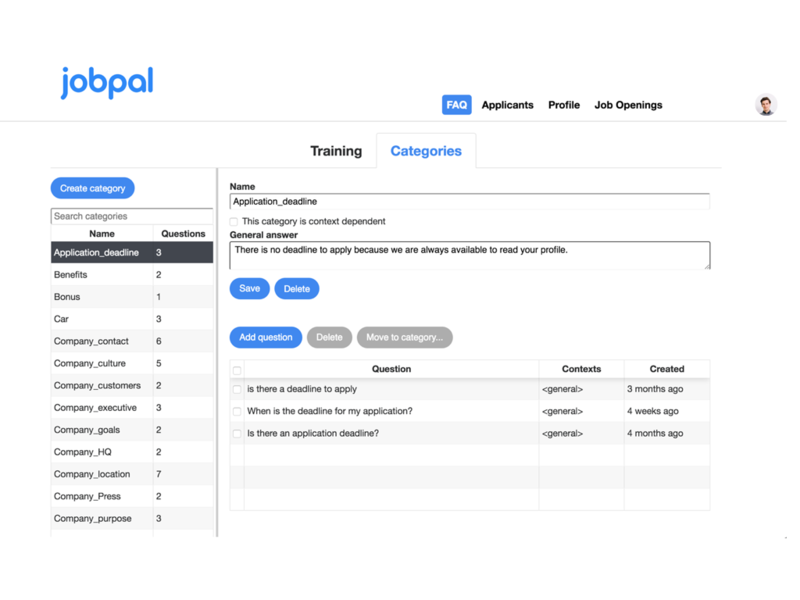 Your jobpal chatbot automates tedious and time-consuming tasks such as screening applicants’ CVs, recommending the best ones and scheduling interview appointments with candidates you select. Cut through the noise and get face-to-face with relevant candidates quicker, with less effort. 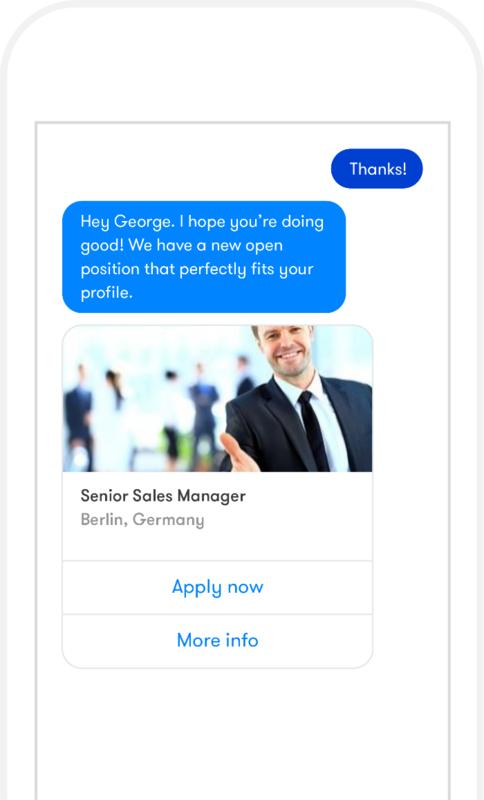 Your chatbot will continue to engage with successful candidates in preparation for their first day and beyond. Provide new hires with insights into your company culture, provide helpful information and gather feedback to see how they are tracking in their new role. This makes for an enjoyable experience for the candidate, providing extra support in their crucial early days in the role, increasing the chances of success. Just because a candidate wasn’t selected doesn’t mean there won’t be other opportunities for them in the future. 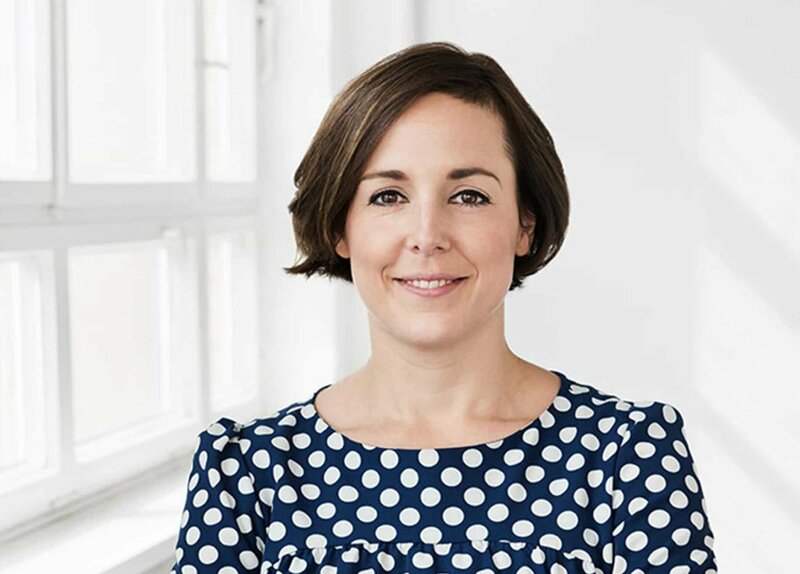 Building a talent pool means have the ability to touch base with candidates you already know are a strong fit, should new roles become available. Our dashboard provides important stats to help you tune your integration. See how many questions the chatbot is able to handle and where it needs further training. See at-a-glance performance statistics for your chatbot and your open positions which help to focus your team's efforts in the right places.